Almost fourteen years ago, ACP released ThinManager as a centralized management solution for the modern factory. Since then, ThinManager has evolved into a complete platform that manages clients and their connections to servers, as well as a myriad of applications and visual resources. While most of the evolution of ThinManager can be attributed to a handful of dedicated programmers and the vision of CEO Matt Crandell, the impetus for most of the features has come from the changing needs of ThinManager end users. Most notably, is MultiMonitor, one of the most used and most versatile of the wide range of ThinManager Platform features. 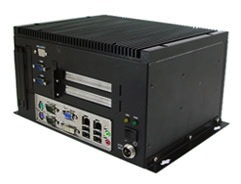 Dating back to 2004, Arista had been a hardware partner with ACP as one of a small handful of manufacturers producing true industrial thin clients. “After years of supplying hardware to ThinManager users, ACP asked us if we could develop a new ThinManager enabled thin client with multiple video outputs and no fans,” stated Thao Le, Vice President at Arista Corporation. At that time, most thin clients used fans for internal cooling. But the problem with deploying them in an industrial application is that the fans bring in dust and any airborne particles, which greatly reduces the life cycle of the hardware. “The only alternative is to create a “clean room” which is almost impossible in an industrial environment. So we started to engineer a completely new thin client,” said Thao. Today, MultiMonitor allows users to seamlessly display up to five screens on a single client and is still the only platform on the market to allow the client to display a different session on each of the five screens. In addition, MultiMonitor can span a single session across multiple monitors and even supports Touchscreens. With multiple configurations and layouts to choose from, ThinManager has created the most versatile process management feature of any platform available today. Register for our MultiMonitor Webinar on 5/1 by clicking here. To download or print the PDF version of this story click here.